Like miniature baguettes (each loaf is about five inches long), a bag of freshly baked bolillos from our Arctic bakery is ready to be made into tasty sandwiches or sliced and toasted with olive oil and garlic. When we return to the road system each summer, we keep a keen eye out for new food ideas to take back to our kitchen in the Arctic bush. This summer, we rediscovered torta sandwiches, prompting me to make a mental note to bake bolillos when we returned to Point Hope. Bolillos have their roots in Mexico where they are the main ingredient in molettes and tortas – lightly toasted bread topped with cheese (or olive oil and garlic) and sandwiches, respectively. Armed with many tasty sandwich ingredients in our bush pantry – garbanzos for hummus, home-canned smoked salmon, caribou and even duck eggs (for a twist on tortas de huevo) – I looked forward to trying my hand at bolillos for our lunch-time sandwiches. Based on several recipes I found on the Internet, I adapted the recipe below for my Zojirushi bread machine. This bread machine provides yeast with the perfect environment so that dough rises evenly and consistently in our Arctic home. 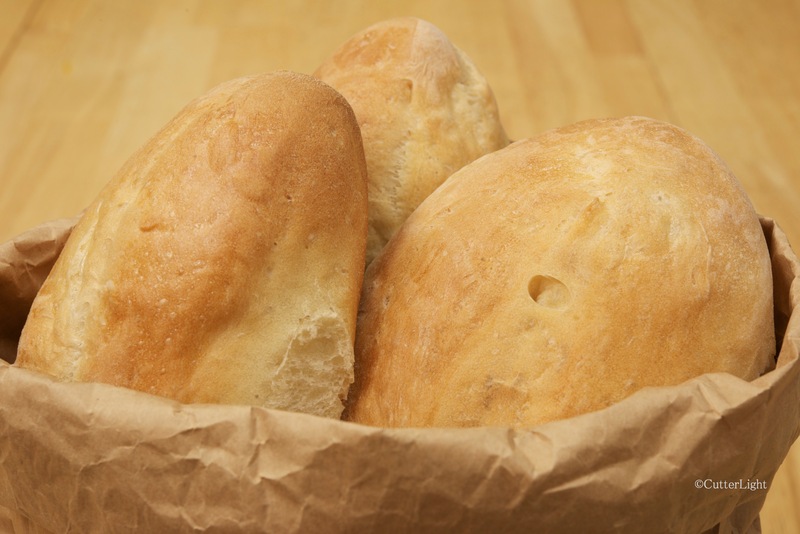 Place first 6 ingredients into bread machine in the order recommended by the manufacturer. Set on dough cycle. Start machine. Dough should be smooth, soft and elastic. Adjust amount of flour or water if needed. Punch down dough and knead briefly on a lightly floured surface. Divide dough into 10 pieces and roll into balls. Work dough balls with palms of your hands to form ovals, about 5″ long and 2″ wide in the center. Ends should be tapered. Place rolls on parchment-lined baking sheets. Cover and let rise for about 25 minutes. Rolls should double in size. Mix cold water and cornstarch in a small pot. Heat mixture to boiling, stirring constantly. Mixture should be thick and clear, about 2 minutes. Brush each roll with cornstarch mixture. Slash each roll down the middle, cutting about 1/2″ deep. Bake rolls for about 30 minutes. Rolls are done when they are golden brown and sound hollow when tapped. when I finish with this no gluten diet, I plan on making these! Oh how I love (and currently miss) bread! These are going to be a favorite in our lunch rotation! We’ll count the days for you! Our house smelled so good when these were baking!